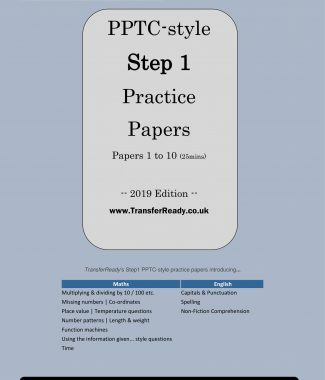 Our Step2 PPTC (GL) style question papers will help you continue your child’s preparation for the Northern Ireland Transfer Test. 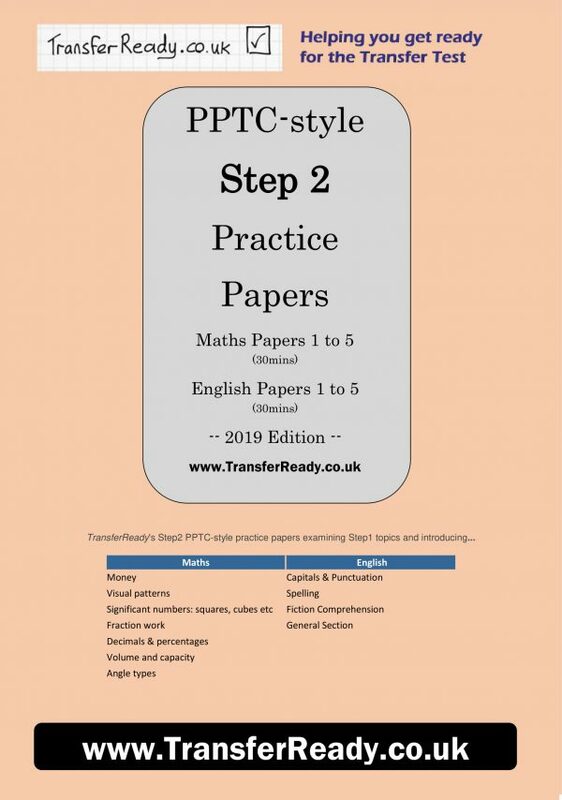 The Step2 papers will accurately test much of the content of the PPTC syllabus while familiarising your child to the style and structure of the PPTC test. There are five English papers and five Maths papers, so that you can begin to focus your practice for exam day in November. 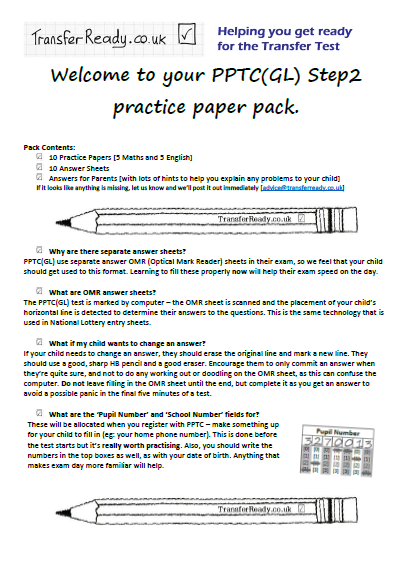 Our Step2 PPTC (GL) style question papers will continue to prepare your child for the Northern Ireland Transfer Test. 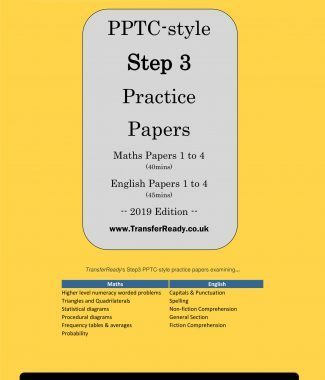 These Step2 papers will accurately test much of the content of the PPTC syllabus while familiarising your child to the style and structure of the PPTC test. There are five English papers and five Maths papers, so that you can begin to focus your practice for exam day in November.